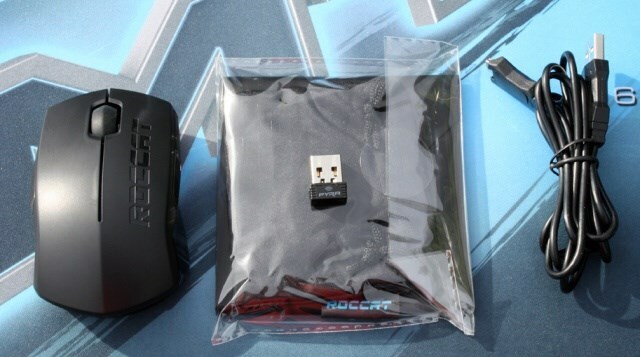 In this review I'm taking a look at the Pyra, a gaming mouse from ROCCAT aimed at laptop users. 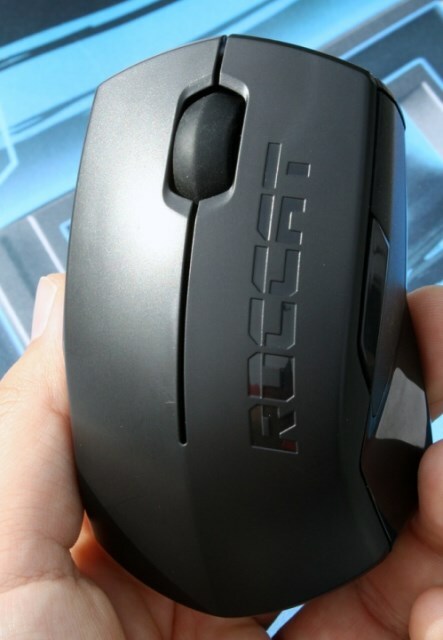 With the rising number of mobile gamers, ROCCAT decided to develop a compact mouse that promises to take on fully-fledged mice in terms of precision and functionality. 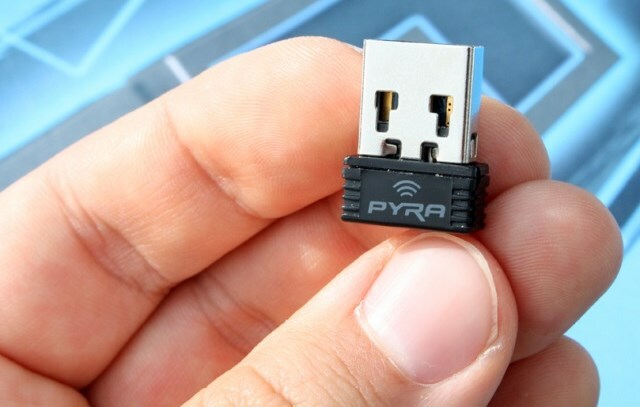 The result is Pyra, a mouse available in wired and wireless editions. On the test bench is the wireless version, which uses a 2.4GHz wireless USB nano receiver. 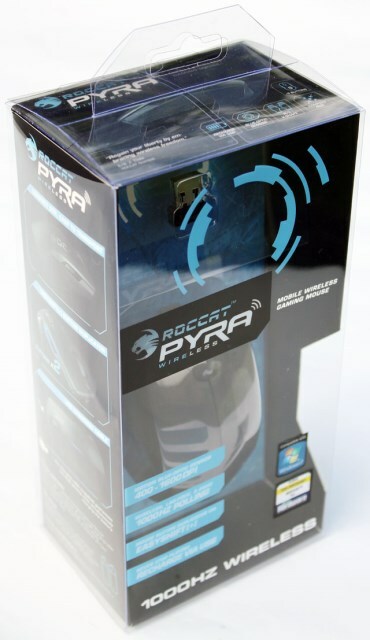 The Pyra Wireless ships in a nicely decorated plastic package, it provides a clear view of the mouse and describes the peripheral's features. Measuring 95mm x 60mm (L x W), the Pyra is quite a bit smaller than typical desktop gaming mice. The mouse has an ambidextrous design and the front features two buttons as well as a compact, rubber mouse wheel. Inside the product box we find a manual and a driver CD. Other accessories include the USB Nano Receiver, a storage bag for the mouse and a USB cable for charging. 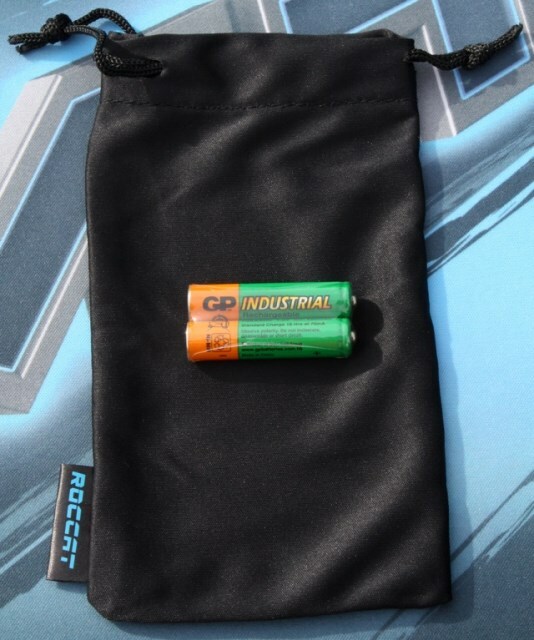 Here's a closeup of the two included AAA batteries and the mouse's storage bag. The wireless receiver has a very small form factor. Thanks to its small size it can remain plugged into your laptop at all times, it barely sticks out of the USB port.